This is a great list of tips for new teachers. 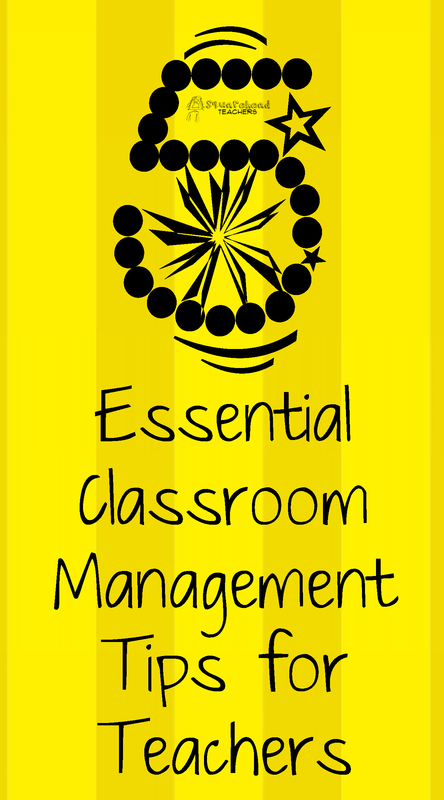 It’s written by Rebecca Alber and it’s very helpful for those seeking to improve their classroom management. Click here to see the original article. Are you teaching in your normal voice? Every teacher can remember this from the first year in the classroom: spending those first months talking at an above-normal range until one day, you lose your voice. Raising our voice to get students’ attention is not the best approach, and the stress it causes and the vibe it puts in the room just isn’t worth it. The students will mirror your voice level, so avoid using that semi-shouting voice. If we want kids to talk at a normal, pleasant volume, we must do the same. You want to also differentiate your tone. If you are asking students to put away their notebooks and get into their groups, be sure to use a declarative, matter-of-fact tone. If you are asking a question about a character in a short story, or about contributions made by the Roman Empire, use an inviting, conversational tone. This golden nugget was given to me by a 20-year veteran my first year. She told me that I should just wait. And wait, and then wait some more until all students were quiet. My patience paid off. Yours will too. And you’ll get to keep your voice. Holding one hand in the air, and making eye contact with students is a great way to quiet the class and get their attention on you. It takes awhile for students to get used to this as a routine, but it works wonderfully. Have them raise their hand along with you until all are up. Then lower yours and talk. Flicking the lights off and on once to get the attention is an oldie but goodie. It could also be something you do routinely to let them know they have 3 minutes to finish an assignment or clean up, etc. With younger students, try clapping your hands three times and teaching the children to quickly clap back twice. This is a fun and active way to get their attention and all eyes on you. Be sure to address an issue between you and a student or between two students as quickly as possible. Bad feelings — on your part or the students — can so quickly grow from molehills into mountains. Now, for handling those conflicts wisely, you and the student should step away from the other students, just in the doorway of the classroom perhaps. Wait until after instruction if possible, avoiding interruption of the lesson. Ask naive questions such as, “How might I help you?” Don’t accuse the child of anything. Act as if you do care, even if you have the opposite feeling at that moment. The student will usually become disarmed because she might be expecting you to be angry and confrontational. When students have conflicts with each other, arrange for the students to meet with you at lunch, after or before school. Use neutral language as you act as a mediator, helping them resolve the problem peacefully, or at least reach an agreeable truce. This tip is most important of all. Perhaps you’ve heard the saying, if you don’t have a plan for them, they’ll have one for you. Always over plan. It’s better to run out of time than to run short on a lesson. From my own first-hand experience and after many classrooms observations, something that I know for sure: Bored students equal trouble! If the lesson is poorly planned, there is often way too much talking and telling from the teacher and not enough hands-on learning and discovery by the students. We all know engaging lessons take both serious mind and time to plan. And they are certainly worth it — for many reasons. This entry was posted in Management and tagged Elementary School, Kids, Management, Teacher Resources, Teachers, Teaching by Squarehead Teachers. Bookmark the permalink. One of my favorite “management” techniques from my kids’ classroom was the bell. The kids or the teacher would ring the bell when the class was too loud or it was time to change activities. The kids responded very nicely to the simple one ring of the little bell.